Jo Jin Woong Threaten Position of King Sejong Han Suk Kyu? Jo Jin Woong (Jo Jin Ung) who is seen sitting on the throne in the photos is acting as Moo Hyool in SBS’s Wednesday and Thursday TV series Deep Rooted Tree. 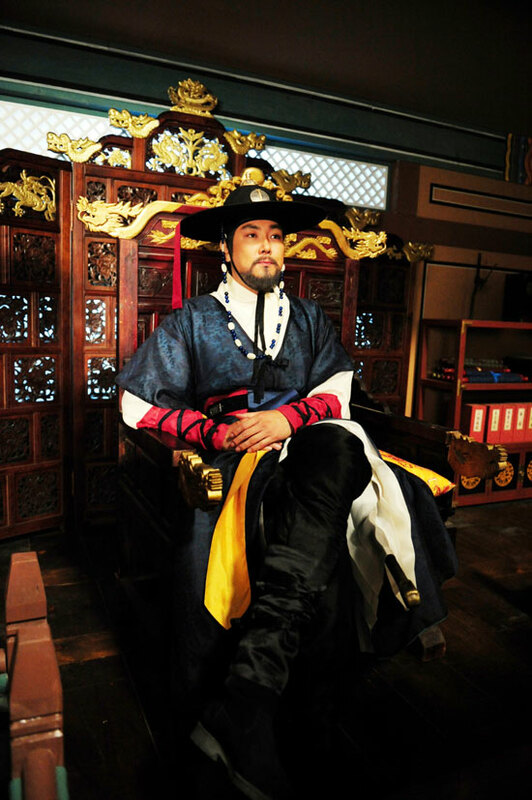 Moo Hyul who is the personal guard of King Sejong (played by Han Suk Kyu), and is the top warrior in Joseon Dynasty. 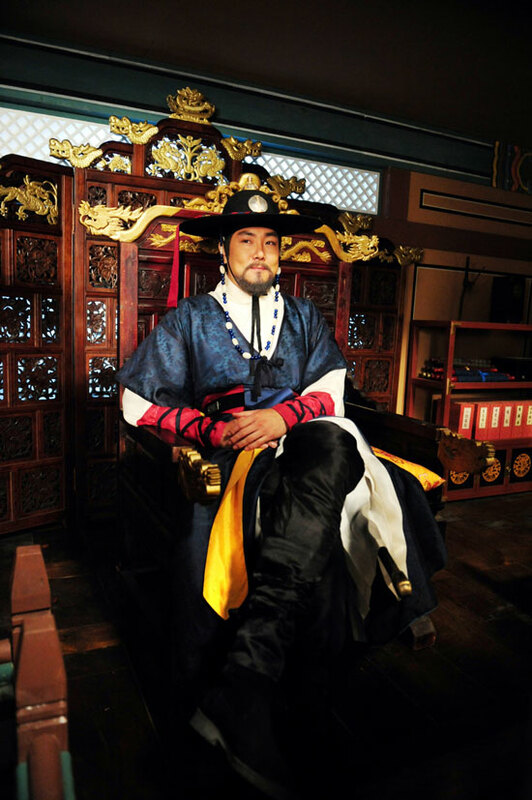 Together with Jung In-ji (played by Hyuk-kwon), they’re important ministers beside King Sejong. In fact, Jo Jin Woong has not only shown the gorgeous martial arts and extraordinary charms in the drama, but has also shown the cute and optimistic personality during the period. He likes to joke, and poses the V-sign when taking photos, is really an atmosphere creator.